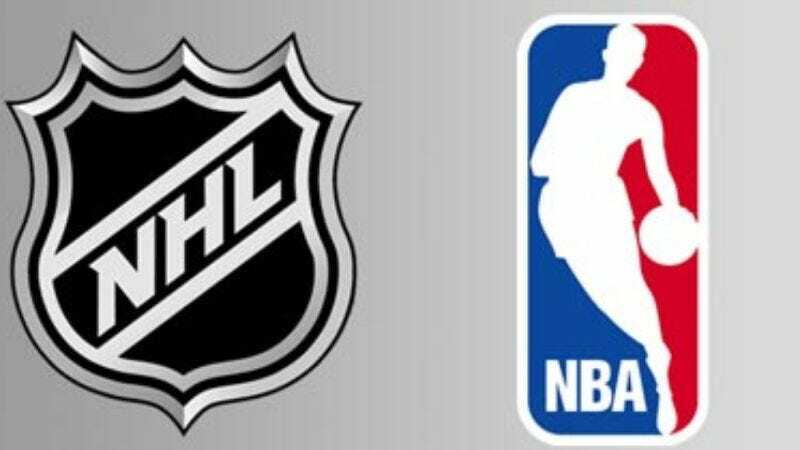 NEW YORK—In what sports fans across the nation are calling uncannily perfect timing, both the National Basketball Association and the National Hockey League apparently opened their respective regular seasons Monday, just 20 hours after the conclusion of Sunday's exciting Super Bowl. "I was watching highlights of the Giants' victory parade on ESPN, and I saw on the sports ticker that the Toronto Raptors upset the [Miami] Heat, and I was like, 'Oh, basketball already?'" Brad Saunders, 34, told reporters, adding that even though the Heat had suffered a 9-36 preseason, Saunders believes the team will start playing better now that everything officially counts. "And I'm not that big of a hockey fan, but I read something somewhere about how the NHL played their All-Star game already, and I think having it before the season opener was a pretty interesting idea." Saunders echoed the sentiments of millions by adding that he would be tuning in to both sports until they conclude on Feb. 14, when MLB pitchers and catchers report to spring training.